Geek's Guide to Britain For a generation that never heard the sonic boom as Concorde broke the sound barrier overhead, the iconic white arrow-shaped aircraft dubbed "The Rocket" by British Airways is just a story our parents told. Before we travel to the museum in Filton, Gloucestershire, that houses it, let's take a trip back in time. Aérospatiale/BAC's Concorde – a joint Anglo-French effort – was first put into operation in 1976 and was retired in 2003, although its characteristic sonic boom was no longer heard above populated areas by the 1990s in the wake of complaints from those whose windows had been shattered. Concern from various governments meant the Concorde's flights were later limited to mostly over water rather than land. Way back when, though, Concorde was the future: a symbol of an aspirational age, a supersonic jet that smacked of luxury, flying the rich and famous across the Atlantic on a diet of free champagne and lobster. It halved your flying time over the pond. The Concorde was more than just a faster vehicle for the post-WWII jet set, it pushed boundaries and still holds the record for a commercial transatlantic flight – two hours, 52 minutes and 59 seconds from New York to London. When you consider a Norwegian Airways Boeing 787-9 Dreamliner set a new subsonic record of five hours and 13 minutes in January – thanks largely to a 325kph (202mph) tailwind – Concorde's achievement is put in perspective. Concorde's ability to travel at twice the speed of sound (Mach 2 - 2,447kph, 1,522mph) certainly set it apart but it was ambitious, too, daring and distinctive – a customised delta wing shape sculpted from metal and a distinctive drop-down nose. This was an aircraft that flew so high, at 60,000 feet, you could see the curvature of the Earth, and so fast that the airframe stretched, gaining between 15.24 and 25.4cm (6-10 inches) during flight thanks to the in-flight temperatures. It was the first commercial aircraft to "fly by wire", a system of electronic signals sent to the hydraulic flight controls. It had one of the most advanced onboard computers and autopilot systems of the time and faced challenges no other aircraft in history had encountered. Conceived in an era of need and optimism, it wasn't the first – or the only – supersonic aircraft. 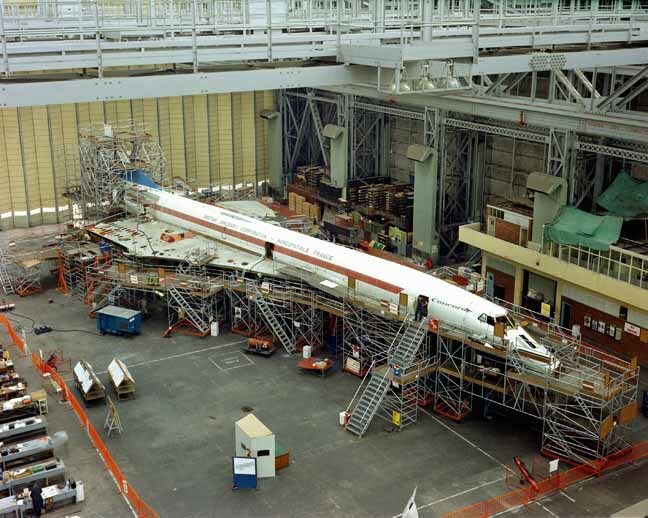 Other nations worked on similar projects, notoriously the Soviet Union's suspiciously resonant Tu-144, nicknamed "Concordski". Concorde, however, not was not only technologically superior to the accident-prone People's Plane – Concordski employed regular hydraulic controls instead of fly by wire, for example – it also enjoyed commercial service for much longer. Not that it was all champagne and roses at 60,000 feet. Concorde was more prestige project than commercial success, a flag-waver that won our hearts but never quite delivered on the commercial vision. 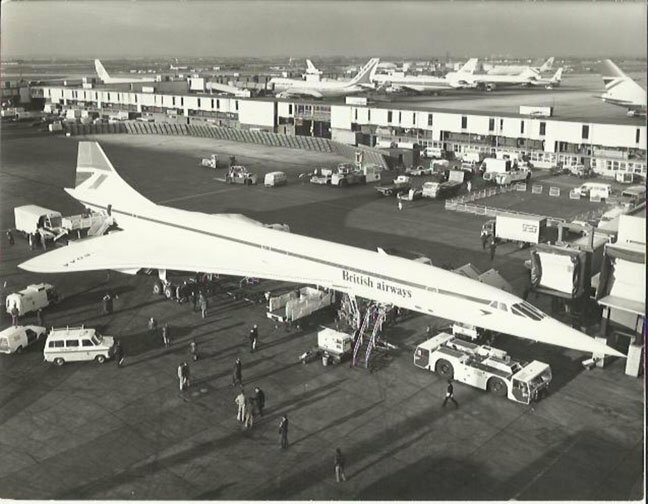 Twenty Concordes were built by the UK and French collaboration – 10 at Filton by the Bristol Aeroplane Company (BAC) that, through merger and nationalisation, became British Aerospace, and the rest in Toulouse, France. The £19m Aerospace Bristol museum in Filton is now home to the last Concorde produced and flown – Alpha Foxtrot 216. The museum opened in late 2017, and with the 50th anniversary of the maiden flight of the Concorde approaching in 2019, it seemed the time had come for a visit. Seeing the aircraft is one thing, though, but what of Filton – a suburban town outside Bristol. How did that play such a pivotal role in the international race to deliver the future of commercial travel? Filton has been sheltering Concorde BOAF 216 since it landed on November 26, 2003, bringing the era of supersonic passenger travel to what's looking like a temporary end. Nine years later BAE Systems pulled the plug on the airfield itself, selling it in 2015 to Malaysian property developer YTL. For the moment at least, you can get a sense of the airfield, despite the wire fencing and the overgrown concrete. Filton is important: it was home to BAC and it was from their airfield that each UK-built Concorde took off. A Rolls-Royce engine factory and Airbus campus are what remains of the Filton aircraft industry and it's at one of the Airbus gates that our journey begins. Bordering the runway's start is an ornate double gate flanked by two stone pillars topped with orbs – the Sir Stanley White Gate. This is the entrance to Filton House, which can be seen across the circular driveway. Filton House was a farmhouse when George White founded BAC with his son and brother as directors in 1910. While flying grounds were established in 1911 in nearby fields, the aerodrome itself was created in 1915 for the sole use of the Royal Flying Corps. The company grew rapidly during the First World War, developing the Bristol Scout, a single-seat fighter, and later the Beaufighter for WWII. 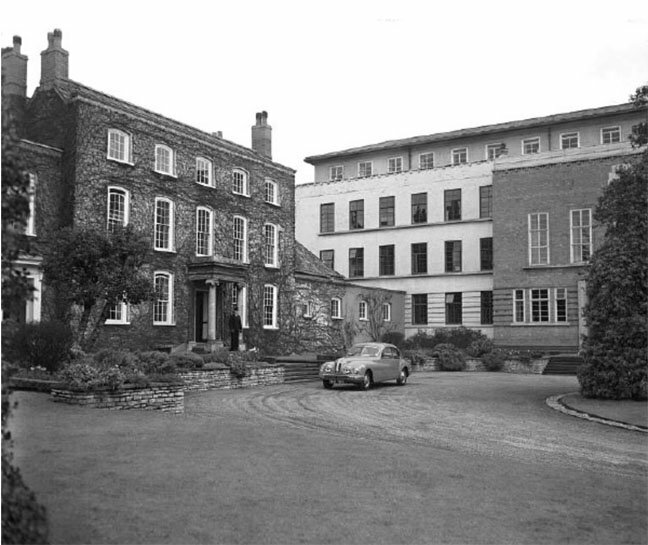 Between the wars, a rapid increase in orders for aircraft, engines and prototype designs for the Air Ministry's rearmament programme led to the building in 1936 of a new headquarters – the Grade II-listed art-deco New Filton House, or Pegasus House as it was later called. It was renovated and reopened in 2013 and is part of the Airbus UK campus. Arriving at the airfield, you can just make out the mounds and vents of air-raid shelters covered in grass despite the fencing. Filton was severely bombed on September 25, 1940, killing more than 200 people. As a result, 504 Squadron, flying Hawker Hurricane fighters, was moved here the following day. On September 27 the Luftwaffe returned but were shot down and dispersed. A triple-span hangar that dates back to 1918, first used by the Royal Flying Corps and then taken over by BAC, welcomes visitors to the Aerospace Bristol museum. The galleries feature a chronological history of aircraft, including the Bristol Scout, a Beaufighter fuselage, a Sea Harrier jump jet, Bloodhound missile and an Airbus A320 cockpit simulator.